The feeling of connection to tangible history makes Europe a treasure trove to the the wistful. Webs layering past to present might not immediately be apparent. But you can feel it, smell it, and taste it in the air. 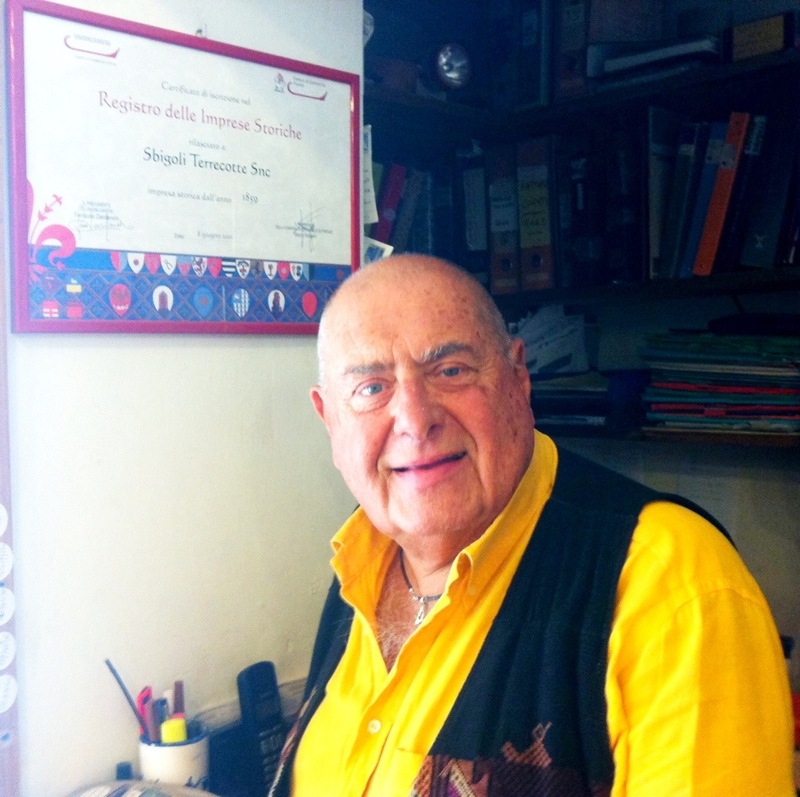 I have been shopping at Sbigoline Terracotte for years.http://www.sbigoliterrecotte.it/ It’s a small pottery studio that lies a couple blocks from the Duomo. Only on my last visit did I discover that this shop has been in existence since the 1850s. That’s wild. The present owner is below. In the past, they sold more plaster objects. Now they made decorative and functional pottery, all in the back of the store. The 1850s. I’m stuck right now in the 1850s, wondering what was the gestalt of Florence in the 1850s. It was the time of the unification of Italy. Sbigoline survived several wars, in the 1800s, not to mention WWI, WW2. Musically I’m thinking Puccini and Verdi and Romantic composers. How many times was O Mio Babbino Caro was hummed along the street in front of the the store? Although a fictitious character, I bet Lucy Honeychurch from E.M.Forester’s A Room With a View would have bought some quality souvenirs at Sbigoli. 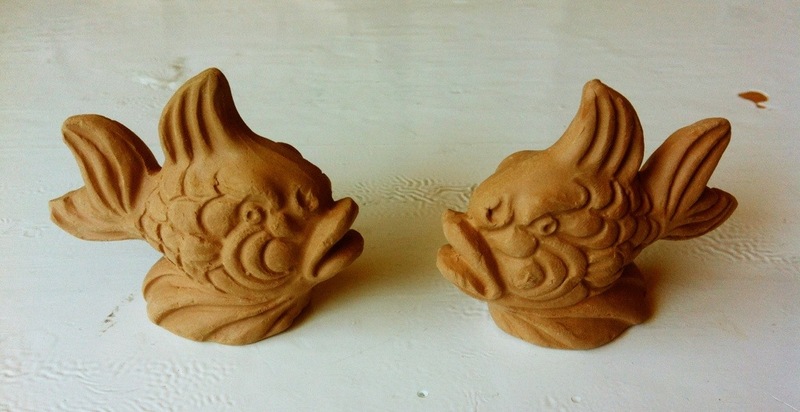 Maybe she would have sent her mamma a couple of these terracotta roosters? What does it say about a city that is able to sustain a store in the same place for over 150 years? I think it gives people a sense of the secure. Buildings that stand the test of time by virtue of still standing tall and proud deserve to be there. I was dismayed to learn yesterday about a historical building in Victoria (that has stood for over a hundred years) that will be demolished to make way for a climbing gym. Why take a building that could be renovated and restored to glory and destroy it? Why not destroy a crappy building that wasn’t built to last? Buildings made a hundred years ago were built to last…..
We must learn from the Europeans. They have been city-making and city-dwelling for thousands of years. We must honour our collective architectural heritage. We must realize that by honouring the beauty and craftsmanship of the past, we honour ourselves. In the present. This entry was posted in Misc., Sustainable Business and tagged Duomo, Florence, historical businesses, Italy, Sbigoline Terracotte on August 22, 2013 by Gurdeep Stephens.